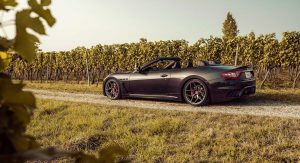 To say the Maserati GranCabrio is long in the tooth would be the understatement of the year. 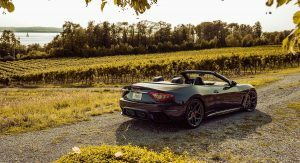 Unveiled roughly nine years ago, the droptop version of the GranTurismo still looks quite nice but has been well and truly left behind by newer rivals. 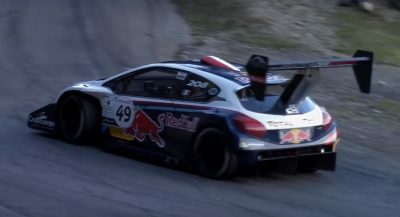 Thankfully, Italian tuning company Pogea Racing has managed to breathe new life into the vehicle with a series of modifications. Starting with the engine, Pogea Racing has fettled with the vehicle’s engine management software to increase the 4.7-liter V8’s headline figures from 460 hp and 384 lb-ft (520 Nm) of torque to 477 hp and 393 lb-ft (533 Nm). This minor bump in grunt lifts the vehicle’s top speed to 190 mph (305 km/h). 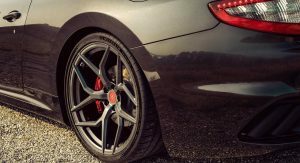 To complement the engine alterations, Pogea Racing has fitted the GranCabrio with a set of aftermarket coilovers which promise to drastically alter the car’s handling. They also lower the ride height by 1.5-inches (40 mm), making the car look all the more menacing. A pair of Michelin Pilot Sport 4S tires complete the performance-oriented upgrades. 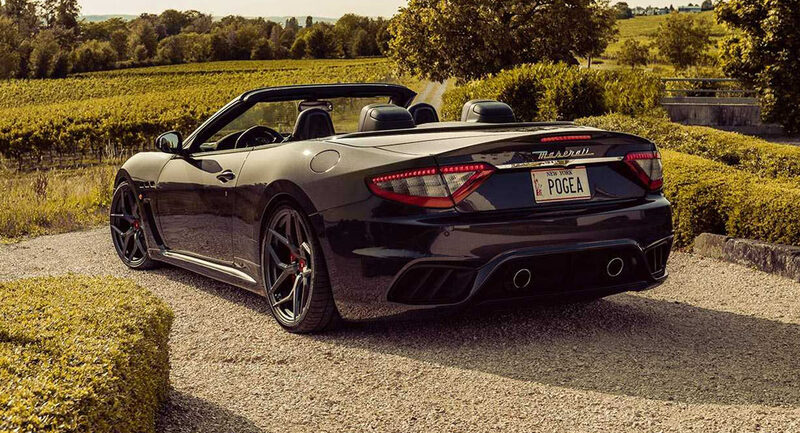 In terms of styling, Pogea Racing has outfitted the Maserati will forged 21-inch wheels that are 9-inches wide at the front and a massive 12.5-inches at the rear. 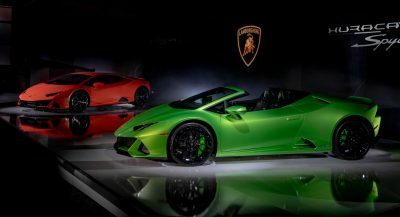 If customers so desire, the tuner is also happy to tweak the car’s interior and appoint it with new leather upholstery and carbon fiber accents. Nice, I love those wheels. Are they available in the US? 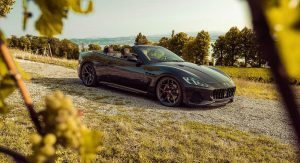 I would like to buy one before Maserati screws up with a new model, as they did when they replaced the unbelievably beautiful Quattroporte with a redesign that made it look like every other copy – good, but not stunning. This looks really great, makes me wish I could afford one. 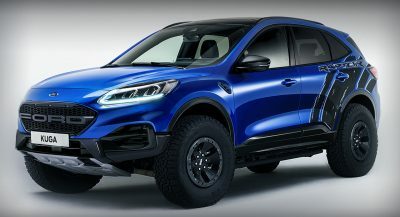 The only detail I would like that remains is to change the rear lights, I think they should be all clear, the crystal look or whatever its called now. I mean it’s beautiful, but I’m disappointed by the engine update, I have a 2016 Stradale Novitec Trident for my track car; and I would love a more road version of that. Tbh, I’m glad they haven’t changed the look as much as they have with other models (Quattroporte). The newer Quattroporte doesn’t look as luxurious as the older ones (especially that that one had buttons in the leather. That really made me like it). So, the fact that they haven’t made this glorified 200 convertible (not that those exist anymore) is great to me!